Truly in a class of its own, our 2013 Tesla Model S 60 in exquisite Deep Blue Metallic awaits you as the pinnacle of luxury and innovation. Our powerful 5 passenger luxury sedan is an absolute marvel; blending sleek styling, ample cargo space, pulse-quickening performance and incredible reliability. It is motivated by a single 60kWt water-cooled electric motor that channels 235hp through a single speed transmission. With no gears to shift, the acceleration is instantly smooth and quiet. You'll relish this brilliant ride even more each time you pass right by the fuel stations since our sedan completely recharges in just 7 hours on a 240-volt outlet and rewards you with a driving range of 139 miles. The seductive silhouette of our Tesla Model S is enhanced by 19 inch wheels, LED taillights, and automatic xenon headlights. You will know before you even cross the threshold that this S60 machine was crafted just for you with rich content all around. Slide into premium heated 8-way power seats and take note of the 17 inch touch screen display that is fully interactive and acts as your command central with both front and rear view cameras. Enjoy a seamless connection thanks to Wi-Fi, navigation, Bluetooth, and an incredible 200 watt sound system with HD radio and apps galore. 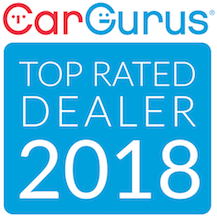 Our Tesla sedan has earned top safety ratings and is equipped with all of the advanced safety features you demand including stability and traction control, crash sensors for high-voltage disconnect, and anti-lock disc brakes. Our Tesla is a game changer and you must experience it to truly understand the phenomenal feeling you'll have behind the wheel. Print this page and call us Now... We Know You Will Enjoy Your Test Drive Towards Ownership!